If you’re not creating videos for your website yet, you’re in the minority. The 2015 State of Digital Marketing, a report featuring insights from over 600 marketers from Web Marketing 123, revealed companies are embracing visual content. The majority of brands are producing videos this year – not just because they’re popular, but because they’re highly effective. Just about three-quarters of respondents (74 percent of B2Cs and 76 percent of B2Bs) create videos for their target audiences. This makes video the most popular content marketing format for 2015, ahead of case studies, blogs and infographics. 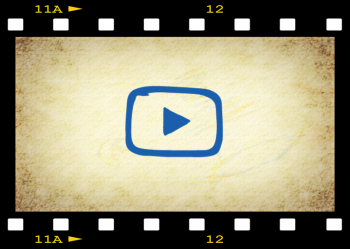 Why is video content taking off with It’s considered the most successful type of web content. A full 68 percent of B2Bs and 73 percent of B2Cs say videos are the most effective tools in their web marketing belts. Based on these findings, it’s tempting to slice and dice your budget to make video content a priority. The stats show marketers are seeing a lot of success with video, but that doesn’t mean video alone will drive results. A balanced strategy is best, and marketers shouldn’t ditch written formats in favor of video (no matter how popular it is). You’ll be the most successful when you have written content on your site that provides in-depth information, social posts to promote your resources and visuals that capture viewers’ attention in the first place. Want to see how different content types can all work together? 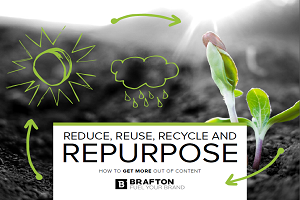 Check out our eBook on Repurposing content to do more with less.